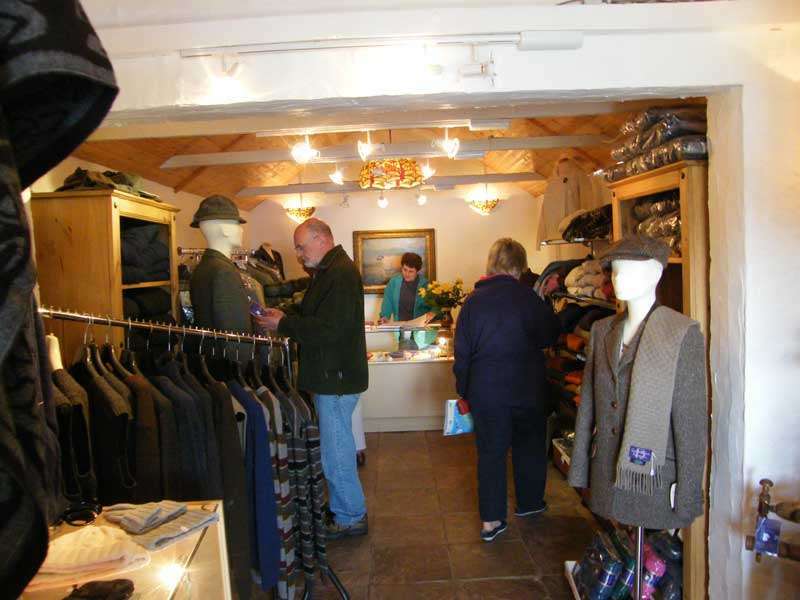 Awarded 5 Stars by ‘Visit Scotland’ in 2012, this beautiful shop is situated at Grosebay, seven miles from Tarbert and well signed off the main A859 to Leverburgh. Dedicated to provide tailored clothing of the highest quality, our Harris Tweed is woven by Donald John Mackay MBE of the Luskentyre Harris Tweed Co.
We are exclusive stockists of Mario-Barutti jackets, waistcoats and topcoats for Men. For Ladies we offer a stunning collection of clothing designed especially for us in ‘Superfine’ Harris Tweed.